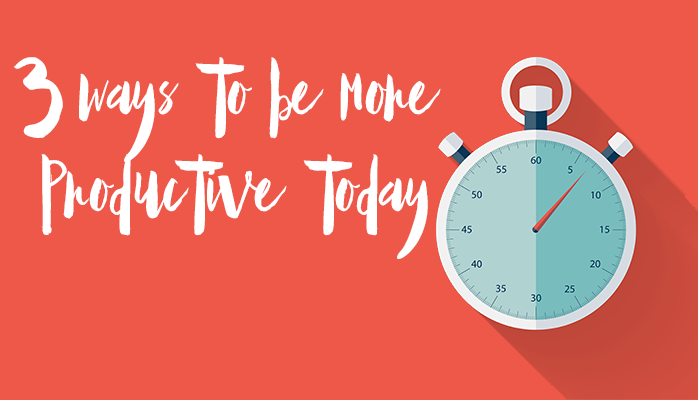 Why being busier isn’t better. I work with a lot of busy people. Let me change that statement a tiny bit. I work with a lot of “busy” people. We glorify busy, the hustle, the strive-hard, the get-more-done-in-less-time junkies. We’re always looking to do more, be more, make more, have more. These are the same people that sit down for dinner late at night and can not answer the question: What did you do today? In part because it’s a blur and also because they can’t really remember if anything actually did get done today…or was it just a re-organization of the papers, tasks, a few lively games of email tennis and some action-item dodge ball on conference call. Delete or Archive any email that is over 40 days old. The person that sent that email has long forgotten about it and you’ve been dodging it for so long it’s become a cement hurdle in your productivity. If it’s important it will come back up and maybe at a level of urgency that you’ll act on it promptly. NOW EXIT EMAIL. Identify the thing you’ll say you did at dinner tonight. Take 3 deep inhales and exhales right now and imagine telling your family or your cat or Facebook about the thing you did while at work today. Sometimes, we don’t take action because we can’t imagine it being done. But once you trigger your brain to see it as done your brain finds many routes to get you to that destination. Quite literally: Begin the task with the end in mind. Set a timer, turn on Do Not Disturb, shut down messenger, skype, Facebook, Twitter, email notifications and do the work. Sometimes people hear this piece of advice and they get really anxious. How long do I have to put on the timer? What if something NEEDS me? But what about Facebook? Set the timer for 20 minutes and see what you can get done. Just try it out. Repeat your successes. At the end of the 20 minutes get out of your chair — reach to the sky, touch your toes — grab a glass of water and see if the mood strikes you to go on another 20 minute speed-date with your work.